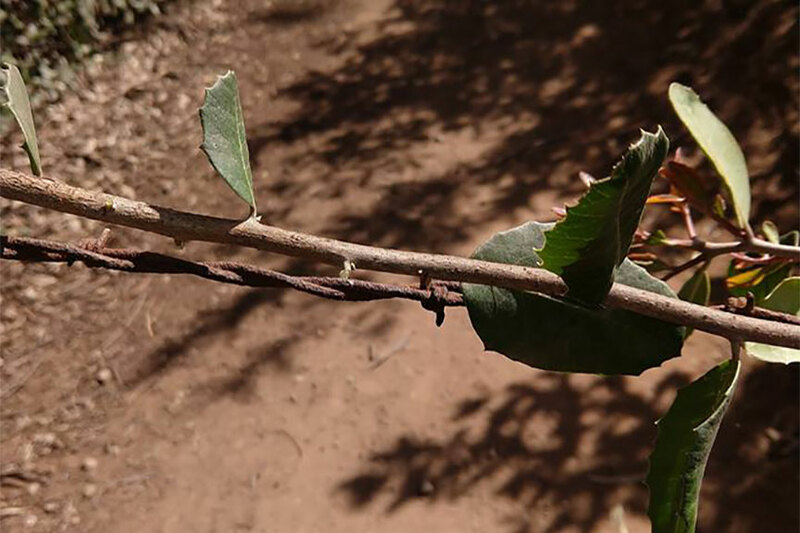 An unknown perpetrator looped barbed wire with ivy and strung it across a bike path. It’s one of the nastiest booby traps we’ve ever seen. The first few days of spring have already brought out the worst in humanity. 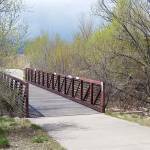 Earlier this week, we reported that a 69-year-old Colorado Springs man was hospitalized after he struck a tripwire strung across a popular bike path. 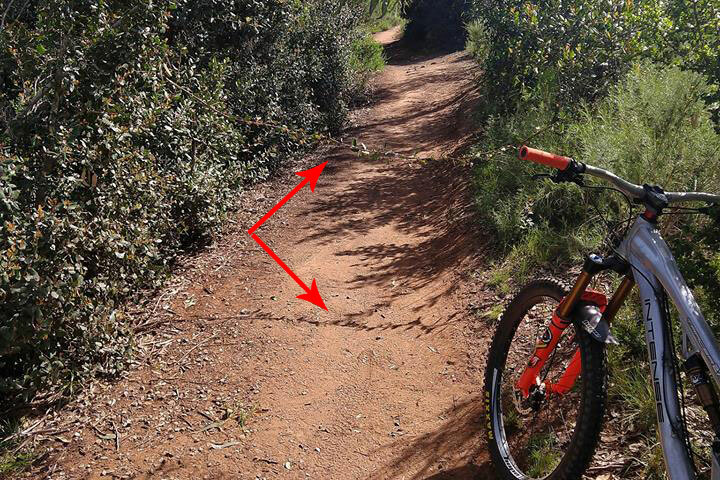 And now, a cyclist in California has narrowly escaped one of the more heinous bike-trail booby traps we’ve seen. San Marcos resident Steven Lennox was on his first mile into a 7-mile ride on a dirt trail near Lake Hodges. Thankfully for Lennox, he was taking photos during his trip, so he was riding slow. His relaxed pace gave him the time to take note of an unusual shadow crossing the path. An unknown perpetrator had pulled old, rusted barbed wire across the bike path. According to Lennox’s Facebook post, someone had hung it at about handlebar level and looped it with ivy to camouflage it. “Three to four loops … had to weave it though. Somebody spent some time putting it together,” he told 10 News. The San Diego Mountain Biking Association notified the authorities in a Facebook post, according to Fox 13 in Salt Lake City.